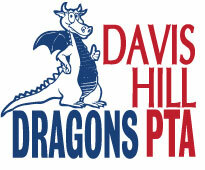 Davis Hill Elementary School PTA proudly supports the Wachusett Food Pantry. On the first Wednesday of each month, we hold a food drive where students, teachers and staff of the Davis Hill community bring in non-perishable food items chosen due to holiday needs for the Pantry. To make donating fun for the kids, the PTA chooses themes for the day, including: “Pajama Day” (quite popular), “Crazy Hat/Hair” Day and more. PLEASE NOTE: We gratefully accept any non-perishable, non-expired food item, NOT just those that conform to the theme of the month. Please read more about the Wachusett Food Pantry and the amazing work they do for our community on their website. If you can volunteer to help out for the collection please use the Sign-Up Genius linked here.